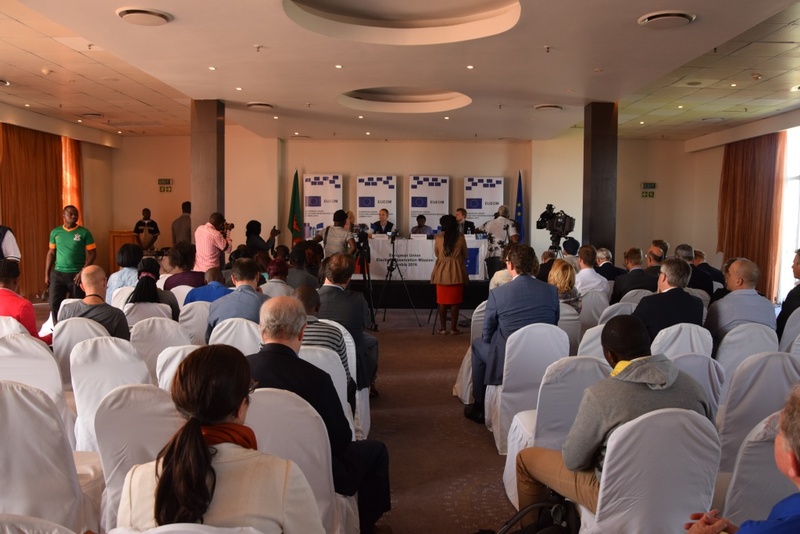 Chief Observer Cécile Kyenge presented the preliminary statement of the EU Election Observation Mission to Zambia on 13 August at a press conference in Lusaka. The findings of the Mission's long-term observation concluded that election day was generally well-administered and peaceful, but the electoral process was marred by systematic bias in state media, and by restrictions on the campaign. 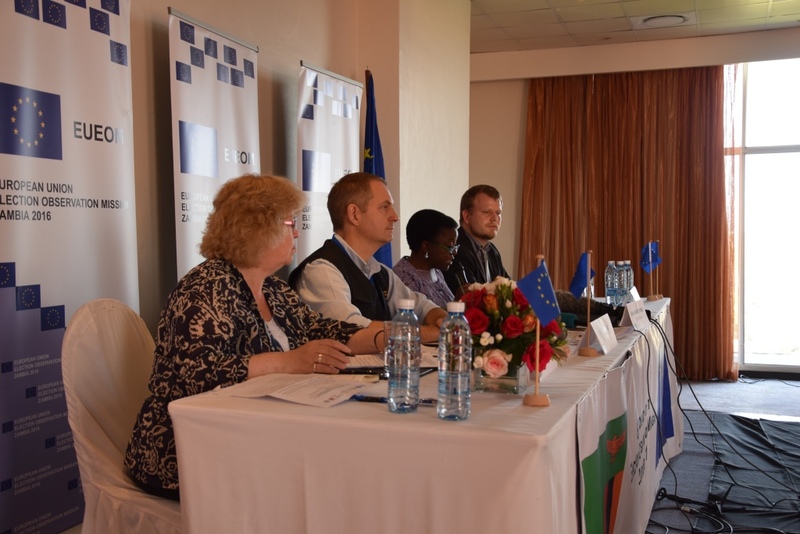 On election day, the European Union Election Observation Mission (EU EOM) observed voting at 520 polling streams throughout the country. The conduct of voting was positively assessed in almost all polling stations observed. Voting procedures were well implemented. The overall assessment of the closing and counting process, though protracted, was good or very good in most polling stations observed. 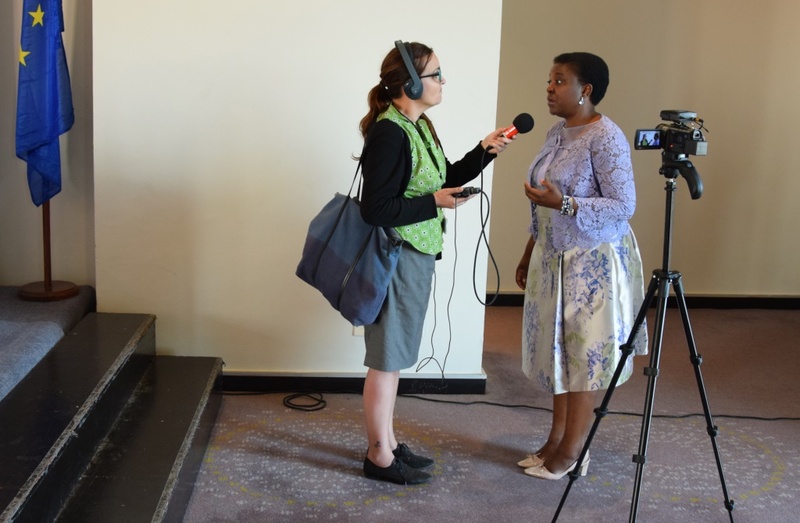 The Mission’s Chief Observer, Ms Cécile Kyenge said this at a press conference in Lusaka, when she presented the preliminary statement of the Mission, outlining the main findings of her team’s long-term observations. 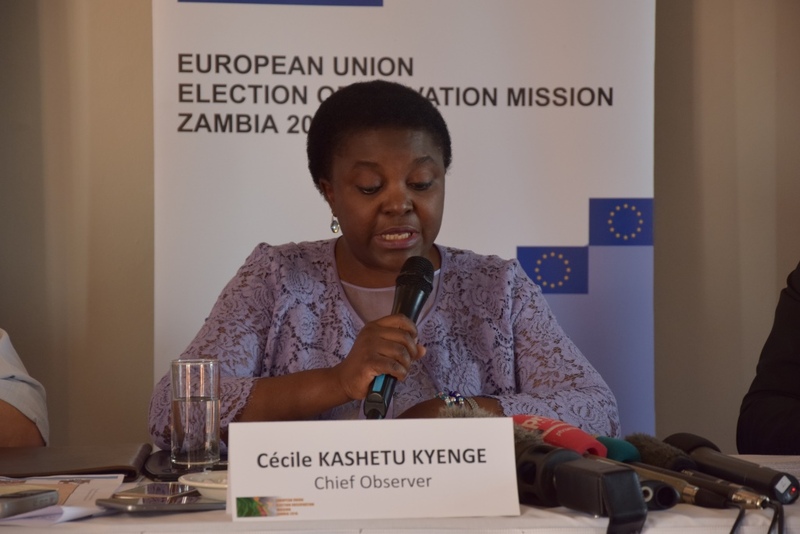 Chief Observer Cécile Kyenge commended the Electoral Commission of Zambia (ECZ) for demonstrating professionalism in its preparations for the elections, despite issues of mistrust and accusations of bias present in the pre-election period. “We have closely followed the work of ECZ since the end of June. Navigating this complex and sensitive process so far is an achievement in itself” - Ms Kyenge said. She added, however, that ECZ did miss opportunities to enhance transparency and trust in the electoral process amongst political parties and the general public. 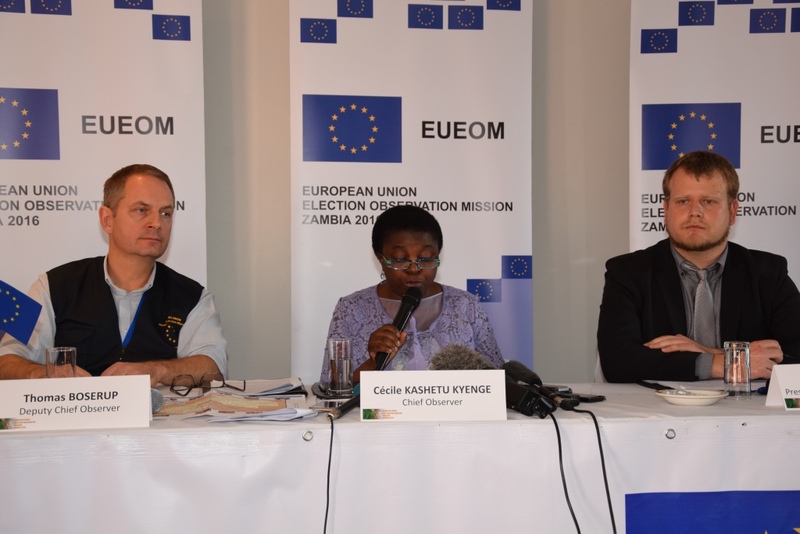 Campaign activities were hindered by several factors, among others by ECZ’s decision to suspend campaigns for ten days in Lusaka and Namwala, which the EU EOM saw as a disproportionate move, and which unduly affected small parties and independent candidates. Police also had a role in limiting the campaign, by broadly interpreting the provisions of the Public Order Act, and using its provisions to unfairly block events of opposition parties at short notice. State media demonstrated systematic bias in its failure to provide fair and equitable coverage of the campaigns of all parties, limiting the possibility for voters to make an informed choice. “News coverage of the state broadcaster was biased in favour of the PF and largely excluded other parties, or only reported other parties negatively” – Chief Observer Kyenge said. She also added that restrictions on private newspaper The Post constituted a serious infringement on freedom of expression during the campaign and severely limited opportunities for the opposition to access print media. 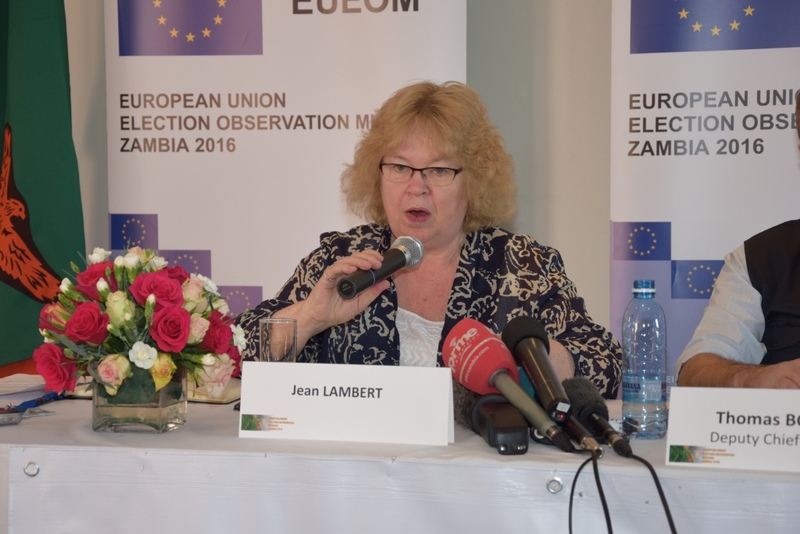 The EU EOM continues to observe the totalling of results, but regrets that its observers do not have access to the verification of results at the national results centre, despite formal requests. As so far observed, initial findings indicate totalling was generally orderly but slow, and with some technical difficulties. Party agents and observers had sufficient access to constituency totalling centres. 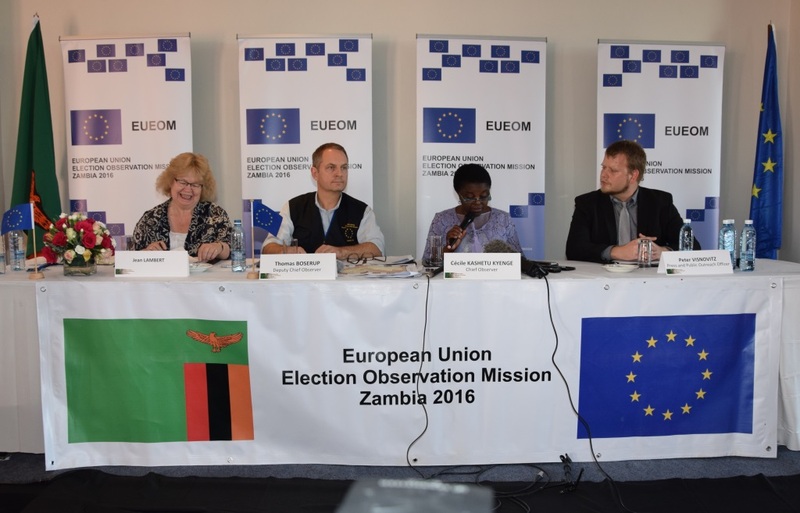 The EU Election Observation Mission’s preliminary findings are based on the long-term observation that it conducted in Zambia since 29 June. The statement is preliminary because the election process is not yet over, with counting and tabulation still ongoing. 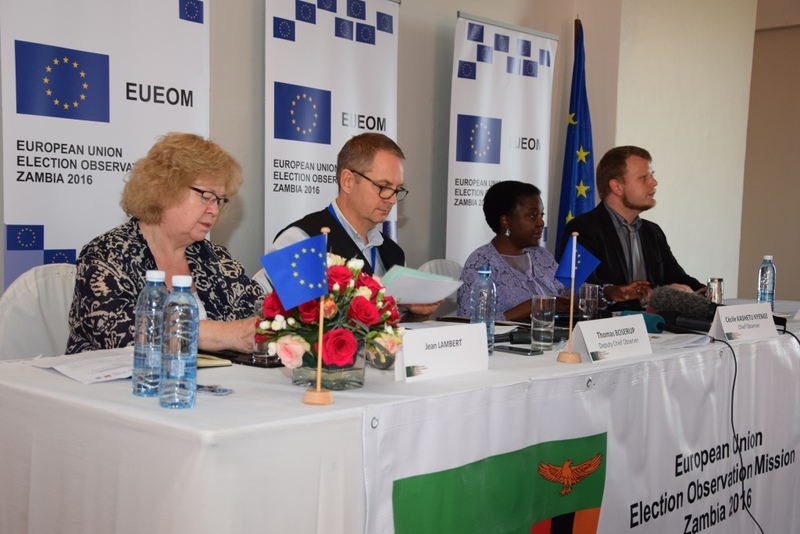 The EU EOM remains in Zambia until the end of the process, and will also observe the complaints process after the election results are communicated. 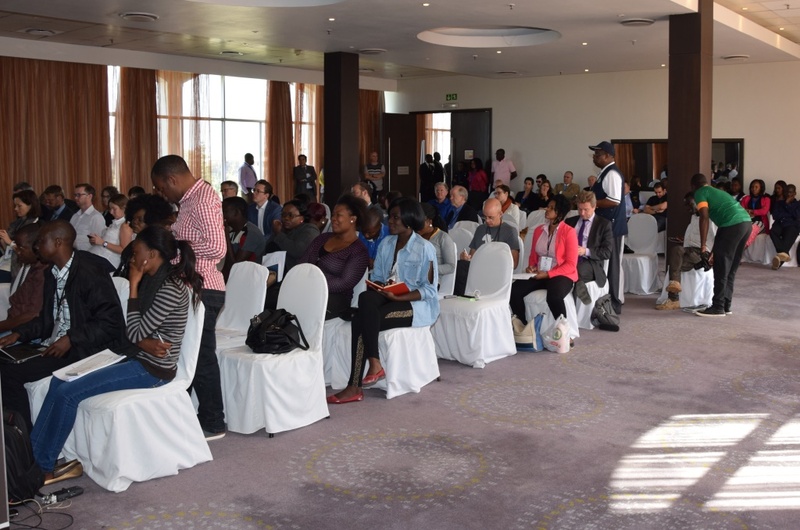 Approximately two months after the conclusion of the electoral process a comprehensive final report will also be presented by the Mission, with recommendations for future elections.